Instant downloads of all 946 LitChart PDFs (including The Kite Runner). Cosby, Matt. "The Kite Runner Symbols." LitCharts. LitCharts LLC, 9 Feb 2014. Web. 25 Apr 2019. Cosby, Matt. "The Kite Runner Symbols." LitCharts LLC, February 9, 2014. 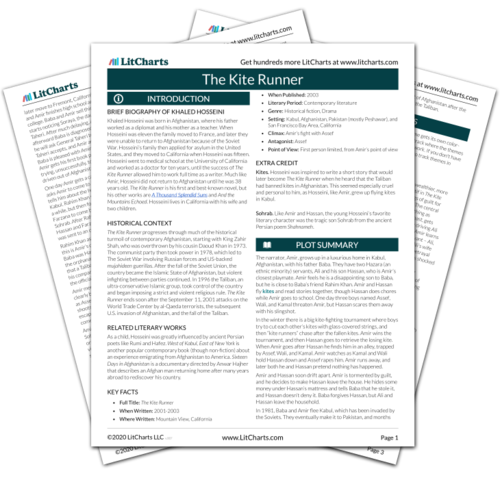 Retrieved April 25, 2019. https://www.litcharts.com/lit/the-kite-runner/symbols.